The retro snowball cocktail is making a comeback! It's rich and fruity and creamy all at the same time - and it's so easy to make! A snowball is a retro cocktail that deserves to become a household name once again – the perfect winter warmer! What do you like to do to get yourself in the Christmas spirit? Put a Christmas movie on? Maybe listen to some Christmas music? Turn on the Christmas lights? 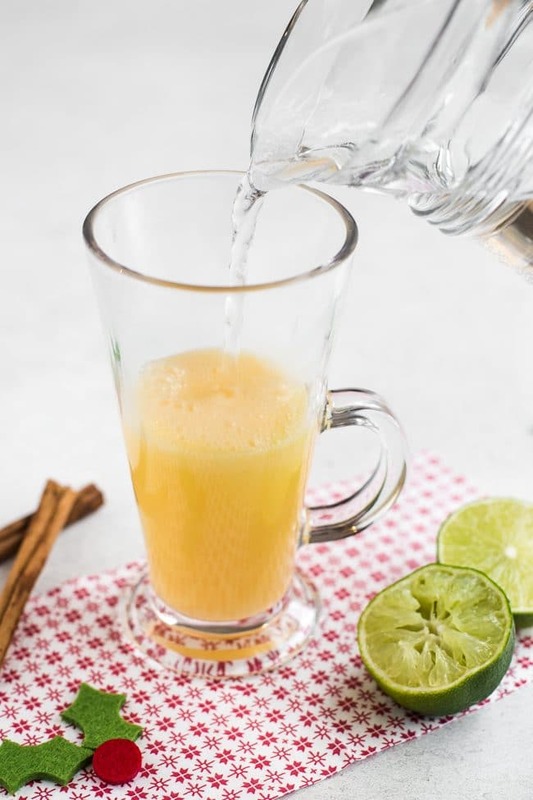 Well, I have another solution that will guarantee you immediately feel warm and merry (in more ways than one) – a snowball cocktail! 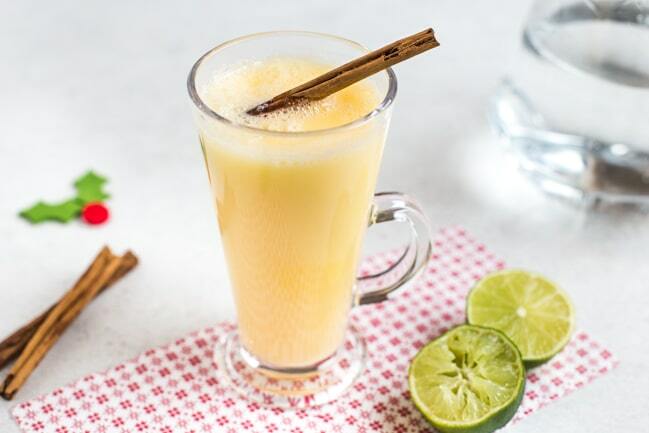 It’s a creamy winter drink made with Advocaat, and it will get you feeling festive from the inside out. 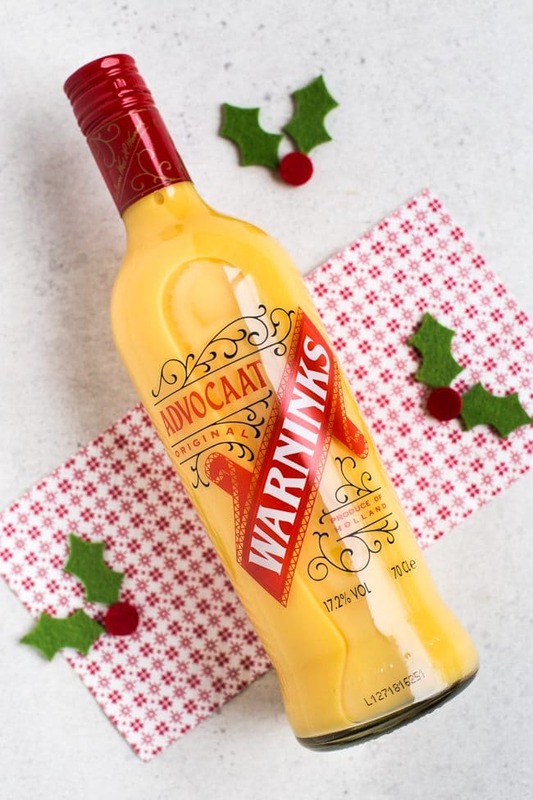 Advocaat is a Dutch alcoholic drink that’s a beautiful creamy yellow colour. 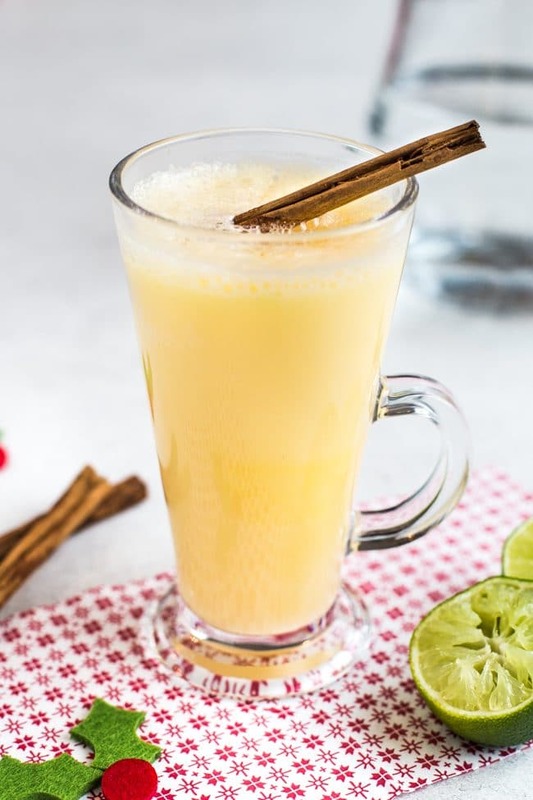 It’s not dissimilar from eggnog – it’s traditionally made with brandy and eggs (so unfortunately, Advocaat is not vegan), and it’s got that same thick, rich sweetness. 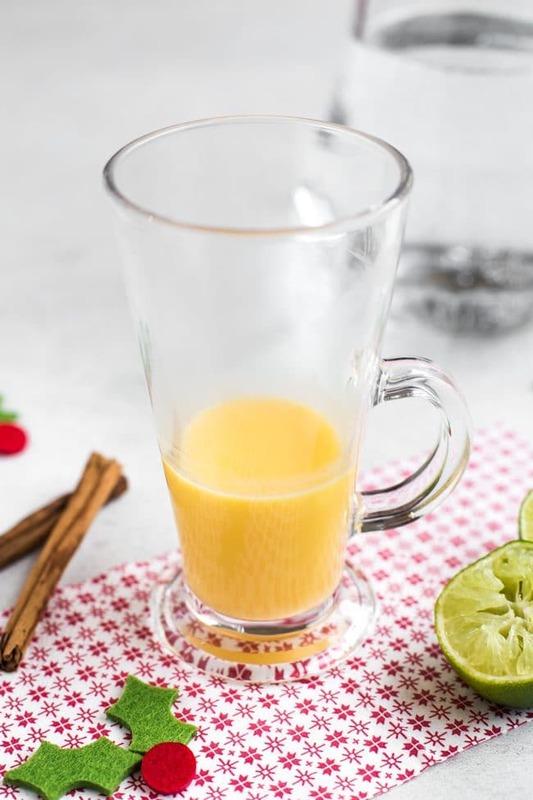 If you’re feeling ambitious, you can make your own homemade Advocaat by whisking the eggs and cooking them over a low heat – I haven’t tried making it myself, but this recipe doesn’t sound too difficult. Or, you can just buy it in a bottle – Warninks is the most common brand in the UK (get it online* if you can’t find it in the shops!). Obviously this is the option I chose (do you know me at all?). Shop-bought Advocaat is around 17% alcohol, which is similar to some dessert wines and fortified wines. You can drink it on its own if you want to, but I think it’s nicer mixed up into a snowball cocktail. What is a snowball cocktail? 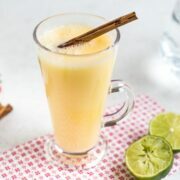 A snowball is quite a retro cocktail – they were super popular in the UK in the 1970s. But trends are cyclical, and the snowball is making a comeback in a big way. Apparently Nigella Lawson is a fan, so obviously it must be good! Just like any good cocktail, a Snowball is seriously easy to make – after you’ve already had a couple, you don’t want to be faffing about with a complicated recipe! How do you make a snowball cocktail? As far as cocktails go, a snowball couldn’t really be any simpler – there are only three ingredients. 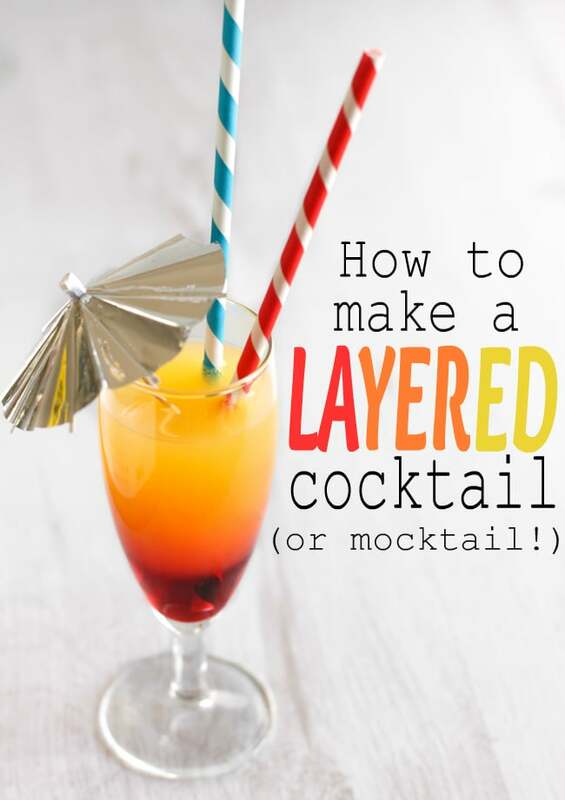 You can mix it up straight in your glass – no shaking, muddling, layering, or any other fancy techniques. It starts with a couple of shots of Advocaat, mixed with a squeeze of lime juice. Then just fill the glass up with cold, sparkling lemonade. That’s it! So simple, but it’s so delicious. It’s light and fruity, yet rich and creamy at the same time. It actually reminds me of the centre of a fruit cream chocolate, in a weird way! How should I serve a snowball cocktail? Snowballs are best made fresh – since there are so few ingredients anyway, it’s no hardship to mix them up individually. You can serve them over ice if you want to, or just use fridge-cold lemonade. They’re great garnished with a slice of lime or a cherry. Or, if you want to make it feel that little bit more festive, you can also give the whole thing a stir with a cinnamon stick. Honestly, I don’t think it sounds like lime and cinnamon should work together, but they really do! How should you store Advocaat? If you have any Advocaat left over after making your snowball cocktails, you should store the bottle in the fridge. Unfortunately, it doesn’t keep as well as a lot of other alcoholic drinks – you can’t stick it in the back of the drinks cabinet and expect it to be as good as the day you opened it. Once you’ve opened it, you should finish the bottle within 6 months – but that shouldn’t be too hard! It’s always nice to have some kind of wintery drink at Christmas. Often it’s something warm – hot chocolate or mulled wine, for example – but if you prefer a cold drink, a snowball is the answer! The alcohol helps to warm you up inside, and the festive flavour is just perfect to sip while you’re decorating your tree or opening presents. We’ve made snowballs for a few years running now – they’re our new little Christmas tradition. We have our fair share of Christmas traditions that have come from my family or my husband’s family, but it’s nice to have started some of our own as well (we have a few more child-friendly ones too!). We’ll definitely be making snowball cocktails again next winter. Add the Advocaat and lime juice to a glass, and mix to combine. Top up the glass with cold sparkling lemonade. Stir with a cinnamon stick if desired. Note: Nutritional information is approximate, and will depend on exactly what ingredients you choose. Information above is for 1 glass, using diet lemonade. If you want another cocktail to wow at Christmas, a layered cocktail or mocktail always goes down well! * Note: This post contains an affiliate link. If you make a purchase using this link, I will receive a tiny (tiny!) payment, at no additional cost to you. Thanks for the support! 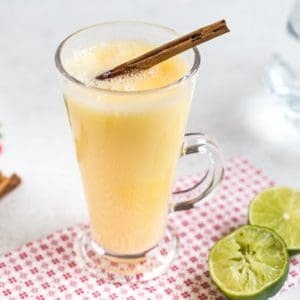 Thanks for the recipe, I remember the first snowball cocktail I had was last year and I miss the drink already, but i don’t know how to make one. Thank you for sharing this cocktail drink. Thanks Becca. Snowballs scream Christmas to me. Hazy ones from the late 80’s actually. Happy festivities! I love snowballs. I have not had one for years. I think I might need to make it this year though! 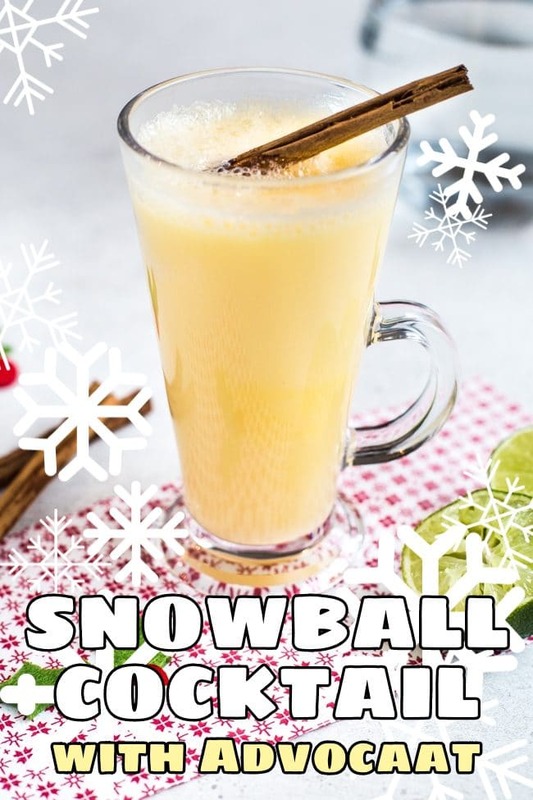 My hubby love Snowballs, I’d better buy him a bottle of Advocaat for Christmas – ssh! This is my very favourite Christmas Cocktail EVER – I normally do a seasonal variation each year… Which normally involves adding Gin. Last year was Rhubarb Gin, this year I think it’ll be Mulled Spice Gin – yum! I like your style! Rhubarb gin sounds gorgeous. I have never had a ‘Snowball’ just because I don’t like eggy drinks but I think perhaps I should try one – they are certainly enjoying a new popularity! I’m loving the size of your cocktail glass – that’s some quantity of cocktail! I’ve just been reading about making a Snowball using Prosecco instead of Lemonade. I can see that becoming a new Christmas tradition of mine! Thank you so much for this post! In 2000 I spent a month in Bath (from the US) for school, and the last night there I had this alcohol. It was amazing! I didn’t write down the name, only remembered that it had two consecutive “A” letters, and I’ve wondered ever since what it could be. Now I know what it is and can begin looking for it.